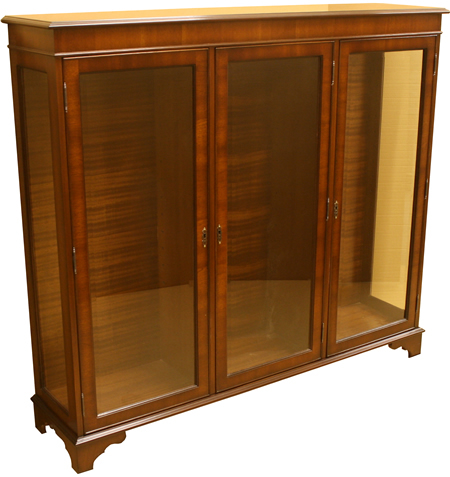 Southern Comfort offers a wide selection of reproduction display cabinets that is available in Mahogany, Yew, Cherry, Oak, Burr Elm, Burr Walnut or Poplar. 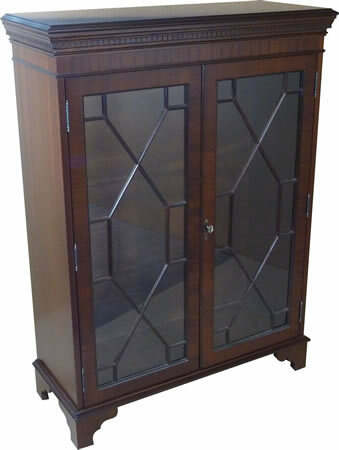 All of our display cabinets have plain bevelled glass doors and are available in a selection of sizes. If you are unable to find exactly what you are looking for please contact us as we do offer bespoke services.